During recent testing of the Silvercrest engine, Safran Aircraft Engines discovered a new issue that might affect entry into service of the Silvercrest-powered Dassault Falcon 5X. Safran executives told AIN at NBAA 2017 that fixing this issue should not affect the timeline of the Silvercrest-powered Cessna Citation Hemisphere. “We are confident we will fix this by the time the Hemisphere will be at the same stage of development as the 5X,” said Cédric Goubet, executive v-p of Safran’s commercial engines division. “[The compressor problem] has really been highlighted in the FTB,” explained Michel Brioude, general manager of the Silvercrest program. More flight testing is planned, as well as testing in a high-altitude test chamber on the ground. These tests will help Safran engineers refine the best solution, which could include optimizing the HP compressor airflow. The HP compressor is a four-stage axial design with a single centrifugal impeller. 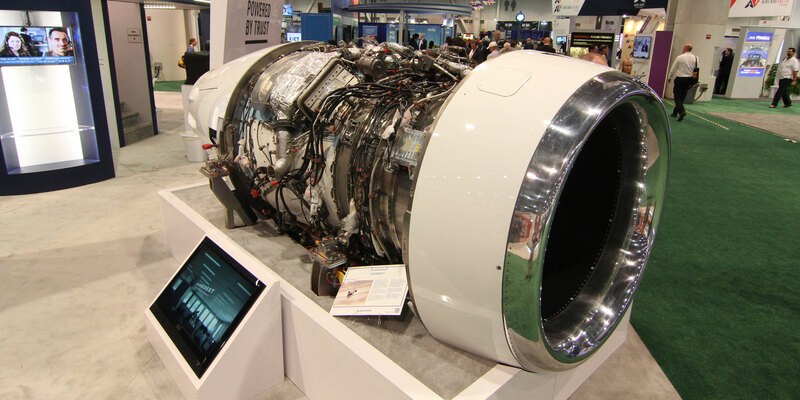 The Silvercrest delivers 11,500 to 11,900 pounds of thrust and has a bypass ratio of 5.9:1. He added that Safran can’t yet supply a timeline for the fix. The most recent plan was to achieve certification of the Silvercrest in spring 2018, in preparation for 5X entry into service in 2020. The testbed engines have logged more than 800 flights, and the engine on which the problem was discovered had run in the GII FTB for 90 hours, including 30 hours on the ground and 60 hours in the air. The compressor problem was discovered during a test that was pushing the engine to its operational limits. In normal operations, pilots wouldn’t even notice the lack of HP compressor responsiveness, he said.